Sifteo Cubes, the computerised cubes that interact and are aware of their own and other cubes actions, and we featured back in January are now available to pre-order. 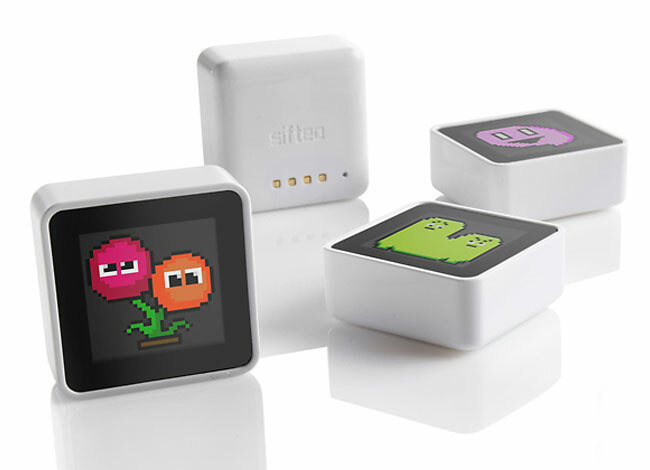 The Sifteo Cubes were showcased at CES earlier this year and consist of 1.5 inch wireless cubes fitted with 128 x 128 resolution LCD screens on one side. They have been designed to interact with each other and are an alternative game system for truly hands-on play. If you have never seen Sifteo Cubes in action before you can see them interact in the video after the jump. The Sifteo Cubes can play a variety of games and to get you up an running a few games are provided free of charge, other are then available to purchase from the Siftrunner application using points ( $1 = 100 points). The Sifteo Pack comes with three Sifteo cubes to get you going is available for pre-order for $149 with more Sifteo Cubes available for $45 each. The starter kit also contains a Sifteo charging dock and a USB radio link, supporting both Mac and Windows platforms. Sifteo has also announced the availability of the Sifteo Creativity Kit, which is included with the purchase of every Sifteo Pack.